St. Louis slip and fall law isn’t on your side – but our personal injury attorneys are! We’ll fight to maximize your compensation. You slip and fall because of a wet and slippery floor at a grocery store. It seems straightforward. The grocery store should pay you money for your injuries and missed time at work. But, slip and fall law is not written in your favor. The Missouri state legislature and court system has made it difficult for slip and fall victims like you to recover money damages for your injuries. Their goal is to protect the profits of private businesses – but at the expense of your rights. And if you fall on federal or state government property and get injured, the rules often get more complex. They have caps on the amount of money you can recover and stricter time limits on when you can bring your claim. It’s no secret that you can find an abundant number of personal injury attorneys in St. Louis more than happy to take on your case. Sure, you can use the big law firm you hear advertising on the radio and television all the time. But they take on tons of cases and often treat clients like numbers. However, choose a small firm in St. Louis with just a few lawyers, and you get exactly what you want. You get personal service from experienced attorneys who care about you, so you can focus on your emotional and physical recovery and forget about the tough legal work. 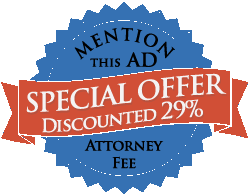 You also get the individual attention your case needs and deserves. You work directly with your attorney – not a paralegal or “case manager” – in developing your case. You get guidance and advice from your attorney from the beginning of your case to its conclusion. For more than 3 decades, Mullen & Mullen’s personal injury lawyers have helped hundreds of injury victims recover the monetary damages they deserve from irresponsible property owners. In fact, Attorney Joseph Morrison* helped one client win the 5th largest premises liability verdict in the state of Texas in 2012 as recognized by VerdictSearch (final verdict: $588,516.23**). If you’ve been injured, don’t wait to file your claim. Judges, arbitrators, and juries see delaying action as a sign of someone who wasn’t badly injured. The longer you wait, the harder it is to prove your claim and win the money you deserve. Also, in premises liability cases it is essential to identify witnesses as quickly as possible and properly develop the theory of liability. Our friendly attorneys are happy to talk with you about the facts of your case, free of charge. Just call 314-465-8733 (314-INJURED), or contact us online. Remember, it’s just a friendly conversation for us to get to know you and the circumstances of your case. There’s absolutely no pressure on you to hire us on the spot. How does “negligent activity” compare to a slip and fall case? “Negligent activity” is much easier to prove. In this situation, the other party acts negligently at the same time you are injured. For example, you go to Home Depot. An employee carries lumber to restock the shelves. They fail to check for customers like you as they do so. While they restock the shelves, they swing the lumber behind them and hit you in the head. You fall to floor after experiencing a concussion. As long as you can show the employee failed to make a reasonable check for customers like you, or that they were walking too fast with disregard for other’s safety, it’s likely you can win your claim. Does what I’m doing on the property affect the outcome of my case? Invitee – Generally refers to you if you are invited to a store to make a purchase. Stores must warn you about, and make safe, dangerous conditions. They also most discover unreasonably dangerous conditions and warn you about them or make them safe. Licensee – The property owner allows you to enter their property, but not for a commercial purpose. Think a neighbor having you over for dinner. This could also refer to off-site work. They have a duty to warn you of, and make safe, dangerous conditions. However, unlike invitees, they don’t have to inspect for dangerous conditions. Trespasser – You have no legal right to be on the premises where you are injured. Property owners have almost no duty toward trespassers. One exception is “attractive nuisances.” For example, you need to have a gate up to block access to other children who might want to use your pool. This area of slip and fall law gets confusing fast. For example, if you enter a gas station with the intent of only using the bathroom (and not purchasing), you are no longer an “invitee.” And therefore the property owner owes you a different duty of care. That’s why you need skilled and experienced slip and fall lawyers on your side. At Mullen & Mullen, we’re happy to discuss the details of your case for free. Just call 314-465-8733 (314-INJURED), or contact us online using the form on this page. And remember, there’s absolutely no pressure to hire us on the spot. Hire us only if you think we have your best interests in mind – and the legal skills necessary to win your case.